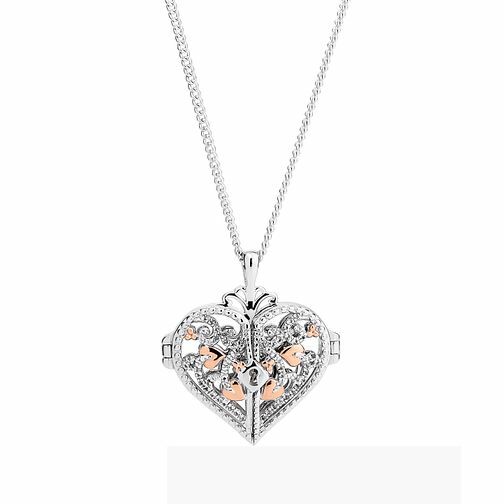 Intricately hand-finished, this majestic Kensington locket from Clogau can be opened to reveal a sterling silver key hidden within. Inspired by the iconic gates guarding the enchanting Kensington Palace, this beautiful locket is adorned in 9ct rose gold detailing. While containing rare Welsh gold, the locket provides a charming piece of jewellery suitable to wear on any occasion. Created in association with Historic Royal Palaces.